The Human Underwater Society has a new supporter in high level tahitian sport realm. 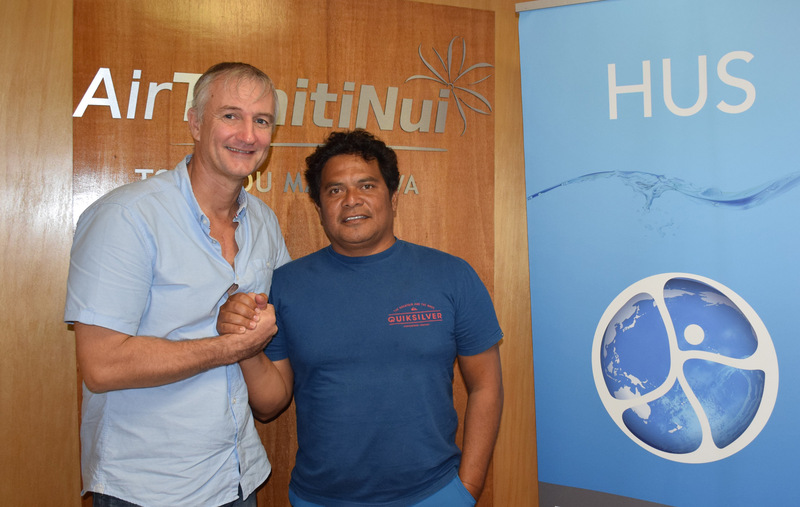 After the soccer champion Pascal Vahirua, 22 times selected in french team, it’s now the legend of Teahupoo wave, friend of Kelly Slater, Lord Hamilton, Bixente Lizarazu & Cie, Raimana Van Bastoaler, who is supporting HUS initiative. “Raimana Van Bastolaer, Tahiti’s most famous surfer, is one of the world’s most extreme and respected surf legends, and a virtual king in his native Tahiti. He is notorious for his commanding presence at Teahupoo, the world’s thickest wave. The Tahitian dream – Raimana is known and respected worldwide for his Polynesian Aloha spirit and for his death defying feats at his terrifying homebreak: Teahupo’o. Our young polynesian organisation promotes the building of a complex in Tahiti where emergents conditions for new technologies will meet, in order to improve, among others, safety of all watersport adicts. For Polynesia, it represents the possibility to create new growth opportunities, trainings and jobs, building an unique leadership. For all the volunteers who are working on it’s accomplishment and are contributing to the Polynesian country development, this new support represents a great encouragement.